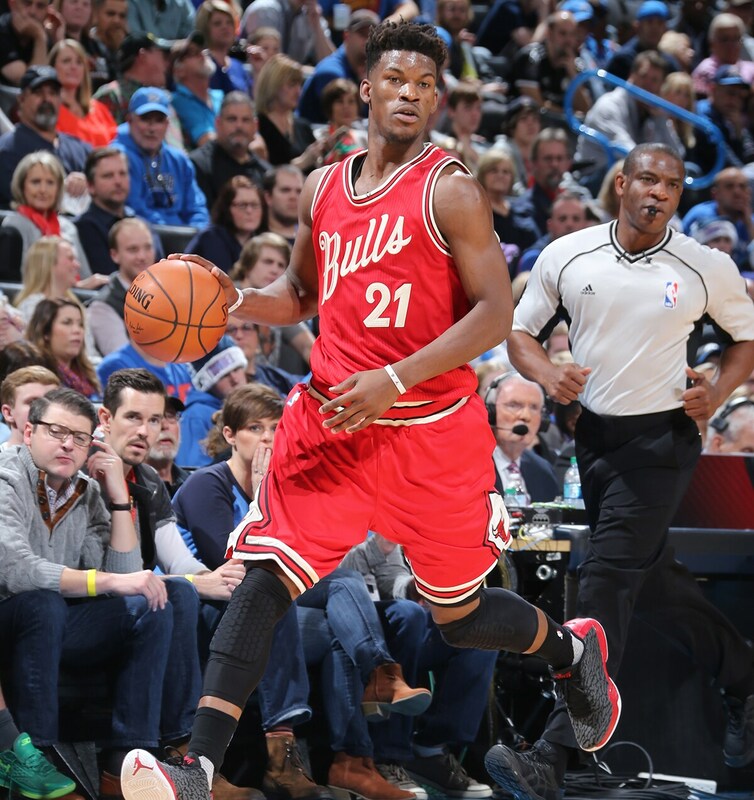 Every Christmas Day since he’s been in the NBA, Jimmy Butler has worn red. Not as Santa, but as a Bulls player in the NBA’s annual showcase Christmas Day slate of games. Again this Sunday, Butler and the Bulls will be featured in the Christmas Day show, this time visiting the San Antonio Spurs. 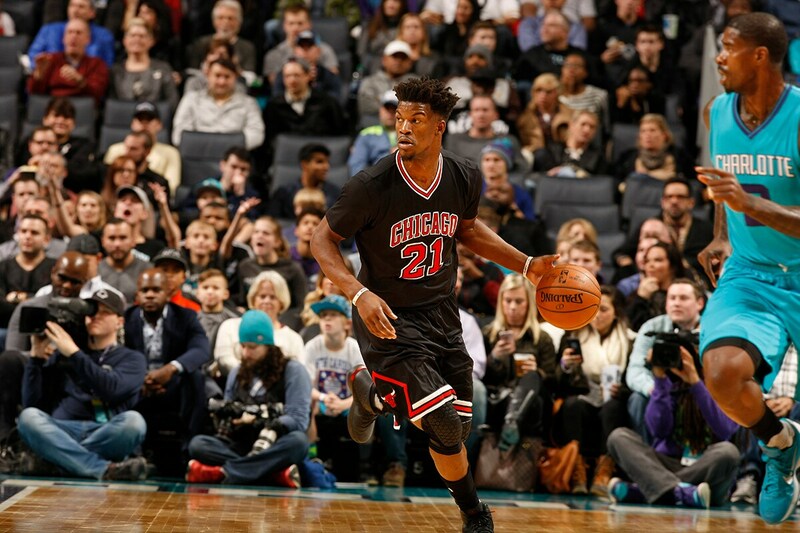 The Bulls have been among the NBA’s best on Christmas Day, which is an NBA tradition. 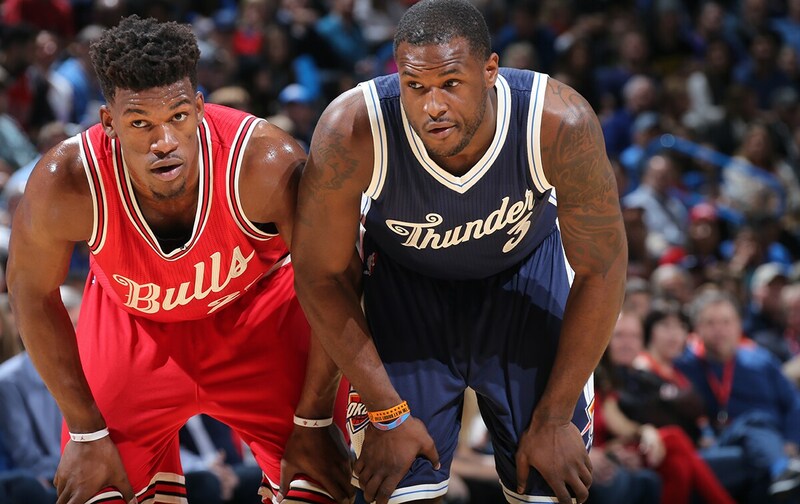 The Bulls are 13-7 in Christmas Day games and will be playing their seventh straight, a franchise record. The Bulls are in the second of the featured ABC-TV games following the much anticipated Finals rematch of the Cleveland Cavaliers and Golden State Warriors in Cleveland. The Bulls will play the Spurs at 4 p.m Central time. The opener at 11 a.m. Central is the Celtics in Madison Square Garden to play the Knicks. The Knicks have played most often on Christmas Day. The Timberwolves at Oklahoma City and Clippers at Lakers follow the Bulls/Spurs on ESPN. 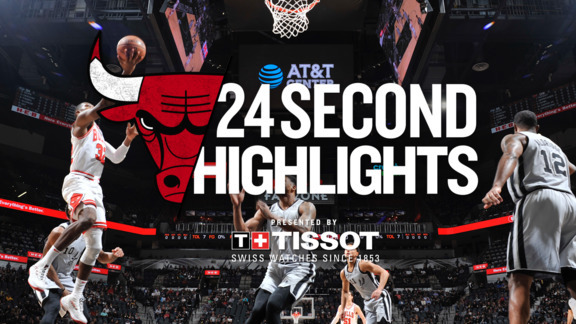 This is yet another crucial early stretch for the Bulls, who defeated the Spurs earlier this month in the United Center. The Spurs game is the second in a three in four nights stretch with a second of a back to back home Monday against the Indiana Pacers. 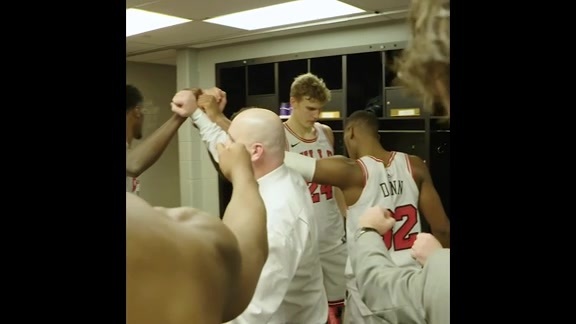 The Bulls have been slumping, losing their seventh in the last 10 in the loss to Washington Wednesday, which dropped them to just 8-6 at home. It was no coincidence that it coincided with Butler’s poorest stretch of the season. 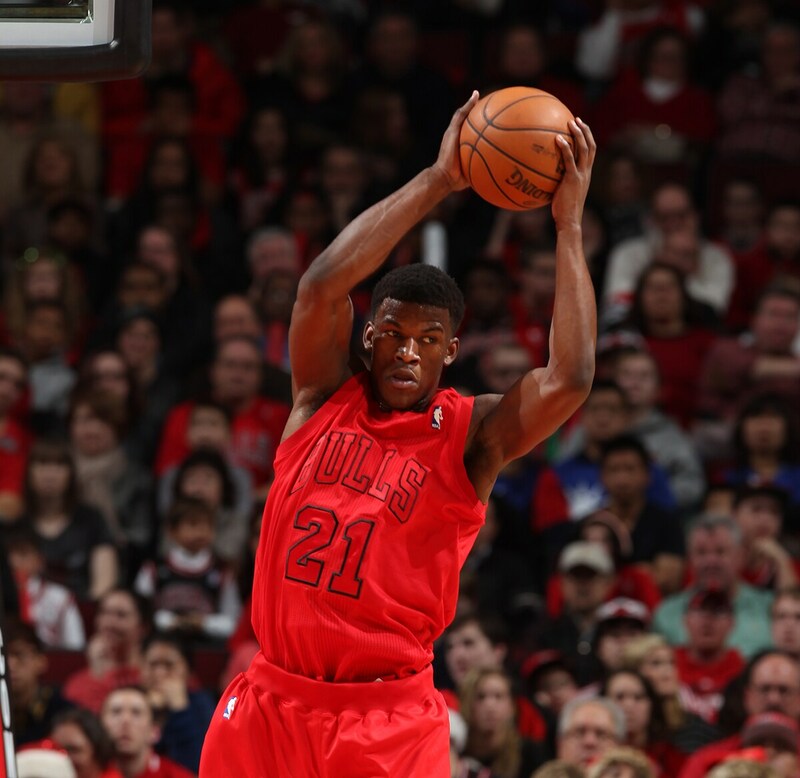 The Bulls' success rests in great part on the great play of Butler. Butler still was averaging 24.4 points coming out of the Washington game. But he’d fallen from close to 27 per game earlier in the month. Dwyane Wade said after the Washington game that the team was asking too much of Butler against collapsing defenses, and the strain seems to have had an effect. Butler was averaging 18.8 points per game in the last five including Washington, and 19.7 in the previous 10. He was shooting 38 percent in those last 10 and shooting 30 percent or lower in three of the previous seven games. Still, Butler is on course for a third consecutive All-Star game appearance and was selected by the NBA for overseas reporters as one of the featured players for Christmas Day. Butler answered questions from reporters from Spain, India, Brazil, the Philippines, Mexico, England, Argentina, Africa, Italy and the United Arab Emirates. He got some of the same questions he’s been asked about the irritating inconsistent tendencies of the Bulls. 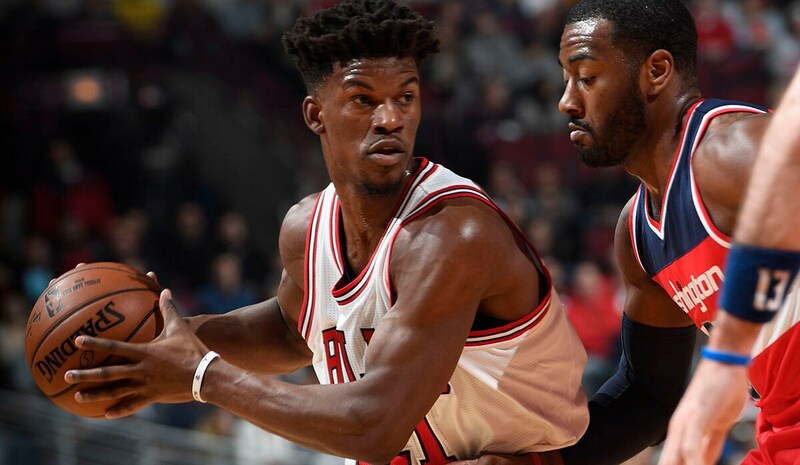 “Our team is very different this year than last, but I like the group of guys that we have and I'm fine with the role that I'm in now,” Butler said. “I think it's a learning curve for me every single day; just like it is for everybody else this year. And then I've still got young guys that I have to try to mold and try to teach them what it takes to get on the level of Dwayne Wade, of (Rajon) Rondo and how to win. I think that's my job. “I couldn't tell you the reason on why we win some and lose some (to the best and poorest teams),” said Butler. “Some games we come out flat, not ready to play. Say what you want to say, but I think it happens at times. Sometimes you're not making shots; things aren't going the way you want it to. You put your head down, feel sorry for yourself. As far as three pointers go, I don't pay attention to the statistics. I've never been one to key in on any of that. If you guard, put the ball in the basket, you know, two's, three's, whatever it may be, still win the game. We've proven that we can win games while making one three pointer throughout the entire game. So for us it's all about on the defensive end. If we guard the way that we guard on the perimeter, I don't think we'll have a problem beating anybody. Christmas Day is the anniversary of Butler’s first pro game in which we had similar seats and contributed about the same. It was then the first game of the 2011-12 season after the lockout. The Bulls opened in Los Angeles against Kobe Bryant and the Lakers and with a Derrick Rose winning shot came back from six points behind in the last minute to win 88-87. It was the start of what many believed would be a championship season for the Bulls until Rose tore his ACL in the first playoff game that season. After Rose’s winning shot, Luol Deng saved the game for fellow starters Carlos Boozer, Joakim Noah, Rose and Richard Hamilton with a defensive play against Bryant. Only three Bulls didn’t play in that game, Butler, Brian Scalabrine and John Lucas. Rookie Butler, the 30th pick in the draft, rarely played then. He sat the first four games and 11 of the first 22. In the first 20 games of the 66-game season, he played more than six minutes just once. He played in one of the six playoff games, a total of three minutes as the Bulls fell in six games to the eighth seeded Philadelphia 76ers after Rose and then Noah was hurt. Butler averaged 2.6 points in the 42 games he played that season. Now he averages almost 10 times that and is the leader of the Bulls team going for its fifth consecutive victory on Christmas Day. It’s perhaps appropriate Butler arrived on Christmas Day since he was a welcome gift for the Bulls.